Palazzo De Mori is located in the town of Otranto, directly on the bastions that look out over the bay of Otranto. The town’s medieval centre that faces the crystal-blue seas is surrounded by an ancient city wall. The fascinating echo of the Far East is distinguishable in the distance. Brindisi airport is the closest airport to the hotel (approx. 100 km). Located in a restricted traffic zone, Palazzo De Mori is in the heart of the old town, just a few minutes from the beach. 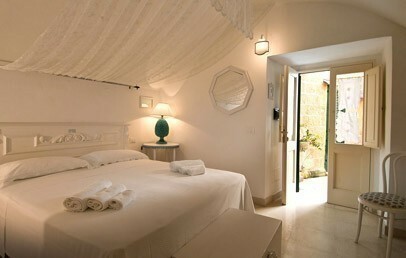 The hotel offers a stunning view out over the bay of Otranto. The building was once an aristocratic residence, as can be seen from the stone-paved patio and the terrace with the old stone parapet formed from stone columns. Children from 10 years on upwards are welcome. All of the 6 rooms at Palazzo De Mori offer an enchanting view as the building looks out over the bay on one side and the castle and the bastions on the other. Complimentary Wi-Fi connection. 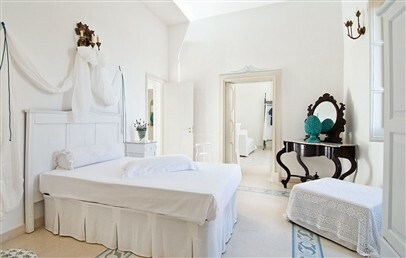 Classic – located on the second floor, double bed with two single mattresses. Window with views over the castle. Superior – located on the first or second floor, sea view. Suite – offering a bedroom with double bed, a second bedroom with a small double bed and a small living room. The city beaches are about 10 minutes from Palazzo De Mori. There are numerous other beaches in the Salento area close by that are worth a visit: Porto Cesareo, Castro, Otranto, Gallipoli, Torre dell’Orso, Santa Maria di Leuca to name just a few. Guests at Palazzo De Mori can enjoy a light and traditional breakfast made up mainly of local products and ingredients, and served on the terrace overlooking the sea. The hotel’s staff will be delighted to make suggestions on the best spots for lunch and dinner. Hospitality and welcome are distinctive features of Palazzo De Mori. The Wi-Fi connection is available for free of charge in all rooms and in the commo areas. There is a large stone terrace with its original parapet offering a stunning view over the bay, and a second terrace with a sea view. The reception hours are from 07h00 to 12h00 and from 15h00 to 19h00. From 12h00 to 15h00 and after 19h00 the reception is close. These rooms are located on the second floor and have a window overlooking the castle. Windowless bathroom with shower. Complimentary Wi-Fi connection. 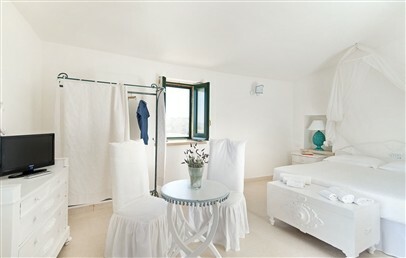 These rooms are located on the first and second floor and have a window or small balcony overlooking the sea. Windowless bathroom with shower. Complimentary Wi-Fi connection. Furnished with antique furniture, the suite has three separate rooms: a double bedroom, a second bedroom with a small double bed, and a small living room with sea views. Bathroom with shower and a small window. Complimentary Wi-Fi connection. 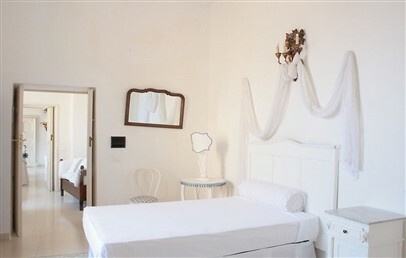 The room is located on the first floor and has a small balcony overlooking the sea / castle. Windowless bathroom with a shower. The furniture is classic in white. A complimentary Wi-Fi connection is available.